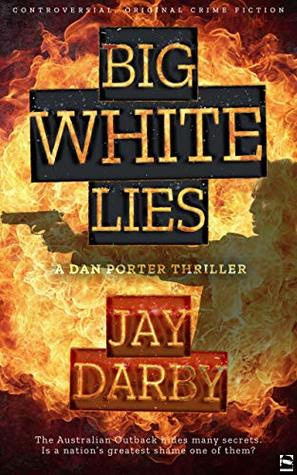 Australian author Jay Darby makes an auspicious writing debut with Book 1 of his planned series – the Dan Porter Thriller Series. Jay comes to this novel with a background in photography and his work as a police officer. Now off the force and out of sports he is devoting his time to writing. 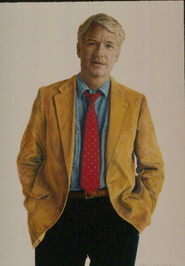 In approaching the work of a new author, several points are to be judged: Is the story involving and unique? Are the characters sculpted well enough to be credible? Is the book’s premise resolved? And just as important, is the style of writing solid enough to merit stature among the many authors in the genre? The answer to each question is Yes! Style of writing – the book stars with a setup that pulls us in: “Porter, Nadia’s missin’, and it’s your fault.” Liniment fumes filled the ice-box that doubled as Redfern Youth Club’s admin office and whacked Dan Porter on the nose. He stopped typing, blinked stinging eyes, and peered over the computer towards his accuser. Eddy Tindall, a sleek Koori teenager, stood in the doorway and hissed like a peeved brown snake. “You hear what I said? I thought you’re different form other cops.” He shouted above the ruckus behind him. “But you ain’t, you’re just another useless pig who don’t give a ****.” Porter blew hot air, his lips vibrated. He stood, stretched his back, then strolled to Eddy. He looked past him, to the boxing ring in the middle of the gym. Tugger Walford, wearing a faded blue singlet and white footy shorts, leaned against the ropes. He held a punching pad in one hand and phone against his ear in the other. Porter frowned, his guts churned. Nadia was Eddy’s younger sister, a gem of a girl who brought him homemade biscuits whenever she came to watch Eddy train. “She’s been missing since when?” Mood established and the story unfolds. Strong writing in an involving new thriller series. The promise is evident.